The game is changing and so are the players. Who will end up with the cards? In the summer of 2017, Seema Verma, administrator for the Centers for Medicare & Medicaid Services (CMS), spent several terrifying hours trying to access her husband’s medical records after he suffered a heart attack in an airport. A Trump administration initiative is designed to expand patient access to clinical data. Proprietary and technical impediments to sharing data reduce patients’ ability to be effective healthcare consumers. Data sharing enables third-party applications to better track the quality and price of care. She recalled her horror last March at an annual conference sponsored by the Health Information and Management Systems Society. While experts ultimately diagnosed and successfully treated his condition, Verma believes no one should have to endure what she did. And she is now spearheading efforts at CMS to increase consumers’ access to their health data. These efforts are part of a Trump administration policy initiative, MyHealthEData, that seeks to improve patient access to clinical data by improving the systemic architecture in place for consumers’ right to access data. The fact is, individuals’ lack of access to their medical records in emergency situations is just one component of a larger healthcare data challenge. Limits to clinical and claims data sharing, based on proprietary and technical impediments, reduce patients’ ability to be effective healthcare consumers. Such information barriers also impede efforts to address spiraling healthcare costs, often by limiting competition on quality and price. Clearer and more comprehensive records will allow consumers to track their healthcare issues, treatments and outcomes more easily. While consumers may not be able to fully interpret their data on their own, data sharing enables third-party applications to aggregate and thus better track the quality and price of care. Data sharing could also inform patients on optimal care choices. “Software application access to the data will allow consumers to proactively determine which providers provide the best outcomes at the lowest cost through apps that could help aggregate that data on behalf of millions of consumers,” says Ryan Howells, a principal at healthcare intelligence consulting firm Leavitt Partners. Leavitt manages an alliance known as CARIN (Creating Access to Real-Time Information Now through Consumer-Directed Exchange), whose stakeholders represent hospitals, physicians, large payers, consumers and caregivers promoting health data sharing with third-party applications. “Improving consumers’ ability to make more informed healthcare choices…will enable them to choose high-quality, low-cost providers, thus helping generate large improvements in healthcare experience and associated costs,” Howells says. While this may seem like a distant vision, some say it’s closer than we think. Aneesh Chopra, a co-founder of CARIN and president of CareJourney, an open-data intelligence service provider, says that 2019 could be a transformative year for the impact of health data upon the healthcare system—and one that calls for agent and broker actions. 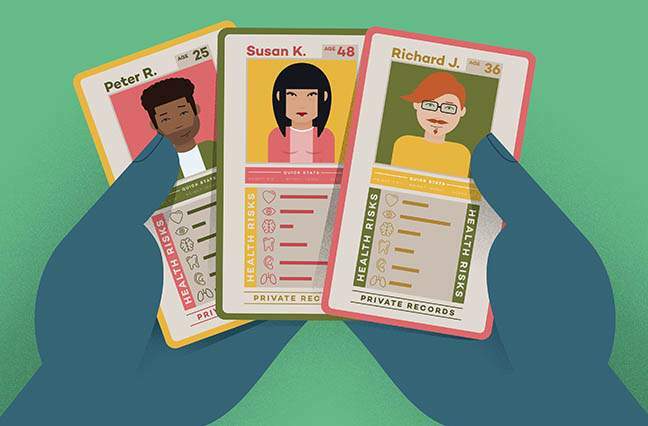 For the first time, there is a movement to standardize the way consumers invoke their right of access to their health information via an application or service they trust. A move to value-based care is driving the creation of clinically integrated networks willing to take on responsibility for total cost of care to help employers and employees manage healthcare costs and help consumers make the best use of their health information. Digital standards for consumer-directed health exchange are on the rise. These standards enable the rapid exchange of digital information between different software programs via the use of a common language and internet architecture. They facilitate the functionality of software applications, such as Apple’s Health app, that can help consumers understand their health needs and evaluate healthcare options at no marginal connectivity cost. These three trends, Chopra says, make it possible for consumers to use software applications to access and understand their health records, manage their care, and access value-based medical networks that can help them optimize care and contain costs. There are two key data types of high interest to healthcare stakeholders, notes David Smith, founder of Chicago-based Third Horizon Strategies, an organization that assists healthcare companies in their strategic planning operations. Claims data are submitted by providers and include documents with information on the cost and dates of procedures and billing codes. Payers such as employers, insurance carriers, the government and individuals maintain that information. Clinical data are generated at the point of encounter with a healthcare provider and are captured in an electronic health record (EHR). In most of the country, clinical records are the intellectual property of the healthcare provider that captured and authored the information, such as a doctor or hospital. The technology infrastructure of the resident EHR and the contractual provisions between the provider and the EHR company determine access to these data. Claims data can be useful for generating statistical profiles of a population, Smith notes. That can assist underwriters, actuaries and insurers in pricing risk and learning things about populations or geographies. Any party that stands to benefit economically from eliminating inefficiency or improving healthcare at the same or lower cost should be mining data, says Jon Prince, president of DataSmart Solutions, a data warehousing and analytics company in Helena, Montana. Imagine a world in which your health data follows you wherever you go and you can share it with your doctor, all at the push of a button. As we look toward the future of data-driven healthcare, it’s useful to understand the current legislative and regulatory boundaries that govern healthcare data. Traditionally, the limited data sharing that has occurred has been under HIPAA (Health Insurance Portability and Accountability Act of 1996). Within HIPAA, payers can access patient-protected health information to evaluate and pay a claim, says Dawn Paulson, director of HIM Practice Excellence at AHIMA, the American Health Information Management Association. Payers also can access and use data for healthcare operations, including population health management and care coordination, says Jodi Daniel, a partner at Washington, D.C., law firm Crowell & Moring and a former policy director at the U.S. Department of Health and Human Services. A December 2018 article in Leader’s Edge noted that HIPAA’s Privacy Rule includes provisions that authorize permissible data sharing—and mandate it under certain specified conditions (leadersedgemagazine.com/data). Scott Sinder, a co-author of the article and The Council’s chief legal officer, says the Privacy Rule allows a carrier to share plan data with the employer sponsor without employees’ consent or authorization but there are limitations. For example, carriers can share summary health data (such as anonymous information on claims history and claims expenses) with employers for premium bid purposes or for modifying, amending or terminating the group health plan. As data sharing expands to include the exchange of information via consumer authorizations to third parties, the duty to comply with HIPAA requirements will be supplemented by the challenges of addressing data exchange ethical and legal issues outside of a HIPAA environment. In late November, CARIN released a code of conduct that third parties can follow to ensure their applications are gaining consumer consent whenever they handle healthcare information on behalf of the consumer. The code, Howells says, is designed to help third parties follow industry best practices for securing information outside of HIPAA. Howells says he anticipates a new “data-sharing ecosystem” that will enable employees and patients to access their health information under HIPAA. Such access, he says, will empower consumers to share their information with any third party of their choice. Privacy isn’t the only issue to consider in increased data sharing. There’s also the matter of overcoming proprietary interests by parties who currently hold and own electronic health records. Many say healthcare providers and payers can limit access to such data to protect themselves from competition and to facilitate relationships with other parties. In fact, this may be among the hardest challenges to overcome, though a variety of federal efforts seek to prevent this trend, often called information blocking. The federal Office of the National Coordinator for Health Information Technology (ONC) is required to establish regulations that improve access to clinical information by parties requesting the underlying clinical data. The statute requires electronic health record vendors and hospitals to confirm they are not engaged in information blocking. The Department of Health and Human Services is expected to provide guidance on information that should not be blocked as well as fines to be imposed for information blocking. The Centers for Medicare & Medicaid Services is moving to require similar data transparency regarding claims from insurers. In her March speech, Verma called upon all insurers to give patients their claims data electronically. She said over the course of the year CMS would reexamine its partnerships and relationships with health insurers to find ways to persuade them to give patients control of their records. There are also legitimate technical challenges to data sharing—in particular, setting the standards and frameworks to enable it. There are disparities in the types of data recorded. Not all data with value are recorded, and much that is recorded is captured in different formats. By this time next year, a new paradigm for delivering employer-based healthcare insurance will take hold in leading markets. In the private space, Fast Healthcare Interoperability Resources (FHIR), a non-proprietary application programming interface (API) standard for sharing and exchanging health information, is rapidly being adopted as a common industry standard. Several factors are increasing its adoption. The Argonaut Project, launched several years ago, is a private-sector initiative to advance industry adoption of modern, open interoperability standards. Participants in the Argonaut Project are working to rapidly develop an FHIR-based API to help expand health data sharing. As part of these efforts, Apple has integrated the clinical API standard into its iPhone iOS, including a health record feature within its Health app that was introduced in January 2018. A variety of other tech vendors and providers also support the Argonaut Project, including Cerner, Epic, AthenaHealth, Meditech, Accenture, and McKesson. A second effort, the Da Vinci Project, is more focused on payers. The project includes Allscripts, Cerner, Optum and Epic on the technology side and many of the country’s biggest commercial payers, including Anthem, the Blue Cross Blue Shield Association, Humana, and United Healthcare. Last August Amazon, Google, Microsoft, Salesforce, IBM and Oracle signed a joint pledge to accelerate interoperability across healthcare by leveraging cloud-based technologies and data standards in pursuit of the common good. In October, ONC released a study that found 10 certified health IT developers with the largest market share across hospitals and clinicians use FHIR. About 82% of hospitals and 64% of clinicians use these developers’ certified products, which Howells characterizes as unprecedented in terms of the speed in which an open standard was voluntarily adopted by industry. As the ability to share data improves, it is important to think about what can be done with those resources. For that, we can look to the health data analysis already under way. “Scientists, clinicians and others have long recognized that large quantities of health-related data…can be analyzed to detect forthcoming health problems as well as to validate superior interventions,” DataSmart Solutions’ Jon Prince says, noting that such information is already used by employers, insurance carriers, hospitals, and other care providers. Healthcare analytics companies are leading this research, Prince says, together with some university hospital systems, such as the Johns Hopkins Bloomberg School of Public Health. Some large insurance carriers and consulting firms contract with or acquire analytics units to produce useful information from raw data. The study of health data patterns enables many disease states to be foreseen, permitting early intervention and better outcomes. Data are also used to evaluate quality of care, efficiency of care facilities and providers. The performance of individual plans can be carefully analyzed to reveal cost trends upon which corrective action can be taken. In broad terms, Prince says, the findings from healthcare data research fall into categories of predictive risk scoring (e.g., identifying individuals in greatest need of immediate intervention), improving traditional diagnosis (e.g., providing doctors with a more complete story on a patient) and recommending improvements in plan design and networks. As data sharing increases, so does the potential for creating a value-based healthcare payment system. President Trump last year reinforced efforts to move toward a value-based compensation system through an executive order aimed at improving access to reliable information that consumers need to make informed healthcare decisions, including data about prices and outcomes. A complete analytics-care coordination ecosystem consists of more than colorful reports that accumulate in someone’s inbox. Brokers need to ask, ‘Who will act upon the findings at the level of my client? There are also data-sharing efforts included in existing value-based care initiatives. In the Qualified Entity Program, established by the Affordable Care Act, organizations approved as qualified entities (QEs) receive access to Medicare claims and prescription drug data for use in evaluating provider performance. QEs are required to use the Medicare data to produce and publicly disseminate reports on provider performance approved by the Centers for Medicare & Medicaid Services. QEs are also permitted to create non-public analyses and provide or sell such analyses to authorized users, such as employers. CMS also publicly releases information about providers through the Medicare Compare website. “If I were an insurance broker focused on the mid-market, I’d like to play the role of general contractor to tie these three key general trends together,” says Chopra, referring to the increased standardization of patient right of access and data transfer and the rise of value-based care. Regarding the value of aggregated data, Howells says brokers can serve as aggregators and educators of consumers and employers. “They can also act as enablers by encouraging consumers to aggregate their healthcare data using their own platform and third-party applications to make more informed decisions regarding their coverage and treatment,” Howells says.